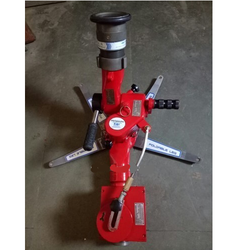 Owing to our expertise in this domain, we have been able to provide the customers with an excellent assortment of Fire Fighting Equipments. Our assortment encompasses NRV Check Valves, Foam Inductors, Hydrant Valves, Mobile Wheel Chair, Gear Pumps and Hose Reel Drums, to name a few. Extensively used for varied emergency safety purposes, the range is widely appreciated by the clients for excellent performance, efficiency and 100% safe usage. This Is Totally Make In India. Moc . Bronze, Brass Chrome Plated, Al Alloy. We are manufacturing all type of multi purpose Foam Venturey. This ventury available in all dimension and all capacity. 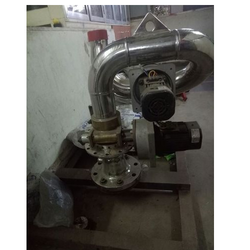 Induction 3 % to 6% controlled by ball valve. We are a trustworthy organization in the market, actively engrossed in offering a wide gamut of Wire Less Fire Water Monitor. 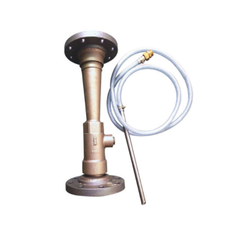 Inlet size 2 to 1/2"
We are a trustworthy organization in the market, actively engrossed in offering a wide gamut of Oscillating Fire Water Monitor. Fire Water Monitor . Joistic Contole For Multipal Fire Monitor. 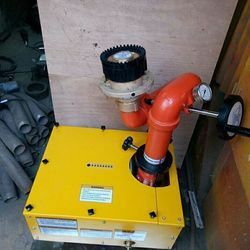 We are manufacturing all the items which are used in any Refinery as well as any commercial company . Our Product are high quality with respect to their performance . 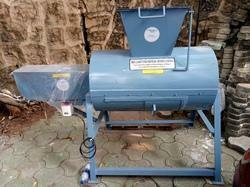 We are manufacture all type and all dimension of Wire Less Control Water Monitor. 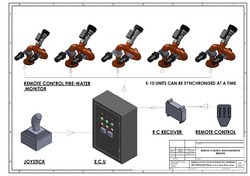 We are manufacture Wire Less Control Water Monitor in all sizes and all dimensions in all range. Owing to the dexterous professionals, we have been able to put forth the clients a comprehensive assortment of Gear Pumps. 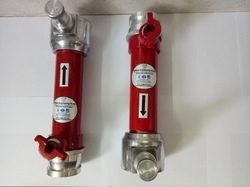 Fabricated in conformation with the global quality standards, the range is widely appreciated by the clients for excellent hydraulic, volumetric and mechanical efficiencies. Further, the range is known for low noise levels, compact designs, dimensional accuracy and fine polishing. More sizes available as per the client's requirement. this machine ablable in all capacity. 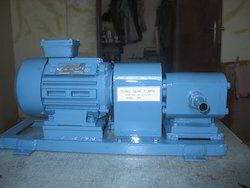 heavy duty gear motor ,sturer,and mult blade in built. this machine helful to bmc. 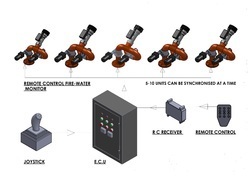 We are leading manufacturers of Fire Water Monitor. Nozzle Size: 38MM FOR DCP . Range In Mtrs: Approx. 25 Mtrs. Swivel joints for horizontal and vertical movement. Nozzle made of S STEEL. Locking system provided in swivel to change direction. SS ball bearing is provided for smooth rotation. 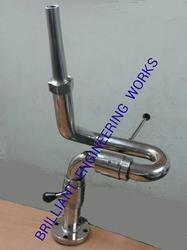 Vertical and Horizontal movement by handle provided. Size. 63mm, 80mm, 100mm, 150mm . 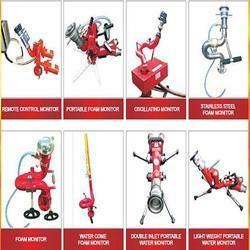 Looking for Fire Fighting Equipment ?